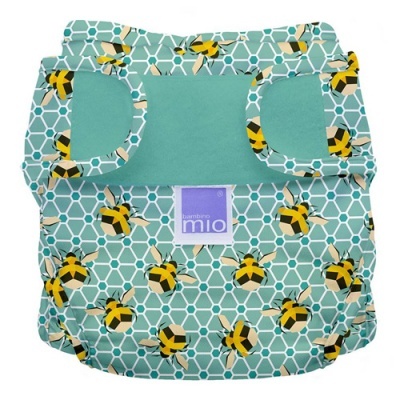 Miosoft Nappy Cover. 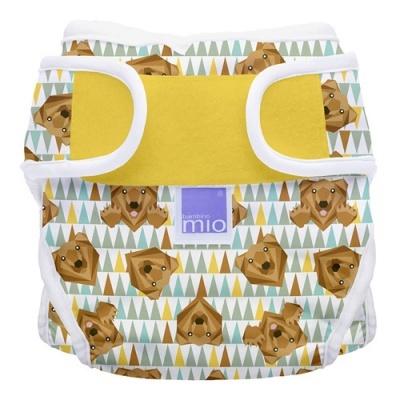 Super soft and stretchy to keep up with even the most active babies! Size: Select First:Size 2 - From 21lbs / 9kgs.Size 1 - Up to 21lbs / 9kgs. Miosoft Nappy Cover. 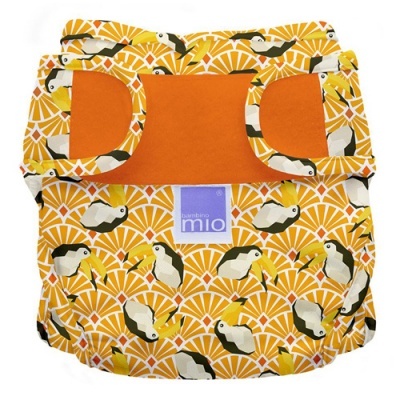 Suitable cover for Bambino prefold nappies and other reusable nappy inserts. 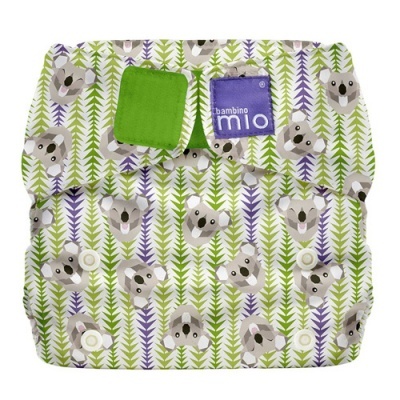 - Water resistant and wipe clean so no need to reach for a new cover after every change. - That means you'll only need 3 or 4 covers. - Reshaped and restyled for ultimate comfort and a super slim fit. 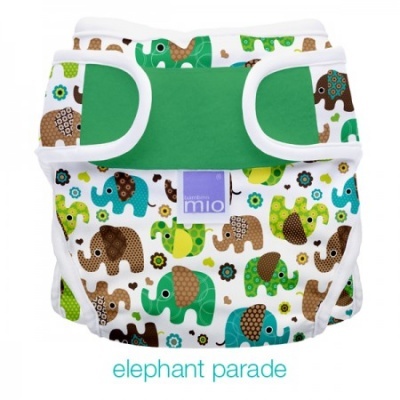 Simply fasten the Velcro¨ tabs - it's as easy as a disposable! 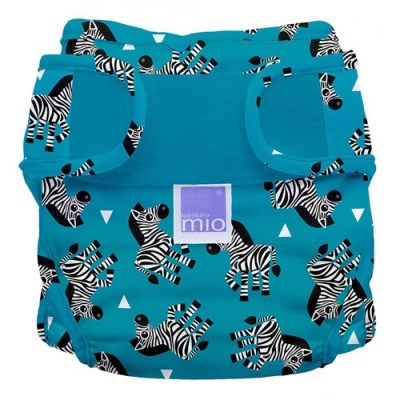 - Super soft and gentle on your baby's delicate skin. 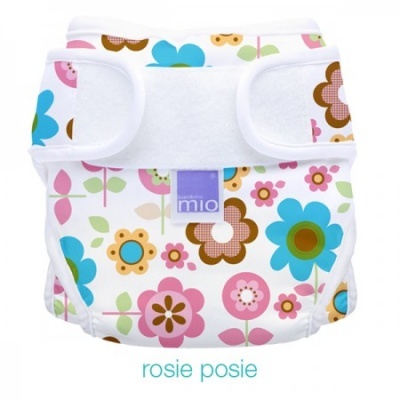 - Double elasticated leg cuffs and waist give you ultimate leak protection. 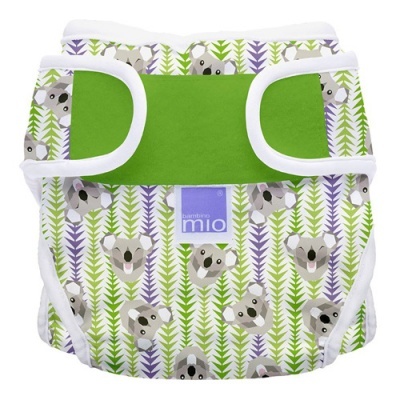 - Stretchy lightweight fabric allows baby freedom to move and explore. - Special laundry tabs protect your covers when washing and they dry quick too. - Made from 100% polyester, laminated to polyurethane. Machine wash at 60 degrees C.